The blaze left the 110-year-old synagogue a charred shell, its structural integrity severely compromised. The sanctuary of Congregation Kehilath Jeshurun synagogue in New York was restored following a massive fire five years ago. All photos: Chris Cooper / Chris Cooper Photographer Inc. In July 2011, Congregation Kehilath Jeshurun Synagogue, on the Upper West Side of Manhattan, was closed for minor renovations when a four-alarm fire broke out on its roof. The scaffolding that had been erected for the roof work saved the 18,000-sf sanctuary from severe damage. But the blaze, whose origin remains undetermined, left the 110-year-old synagogue a charred shell, its structural integrity severely compromised. There was some thought given to tearing down the synagogue and starting afresh. But one fear was that its Modern Orthodox congregants might drift away during an extended reconstruction. And there was little agreement among the congregants and other stakeholders as to how the facility should be rebuilt. After listening to and reconciling the community’s wide and sometimes contradictory opinions, the Building Team developed restoration solutions to preserve the original volume of the sanctuary and simultaneously expand the programming of Ramaz, an affiliated school that escaped damage from the fire. One of the goals was to get the worship and school spaces to work better together, through a comprehensive reorganization of programming and exploring the synergies among spaces to enrich the educational and religious lives of the users. To achieve that goal, a new two-story, 8,000-sf education and fitness wing was constructed above the synagogue. The added floors cut across the school and the synagogue horizontally, which allowed for a balance between sovereignty and collaboration. Other improvements included a central entry and single security point for both institutions, an expanded lobby, an enlarged cafeteria and commercial kitchen, a new chapel and scholar’s library, and an expanded rooftop play terrace. The synagogue’s limestone neoclassical-style façade survived the fire and remains intact today. But given the fragility of the synagogue’s walls, no new loads could be imposed. A complicated structure of shoring towers was erected to brace the exterior walls and accommodate new foundations and superstructure to support the addition. Seven sections of existing brick masonry walls were removed and replaced with reinforced concrete shear walls for the entire 80-foot height of the synagogue’s walls. The reconstruction replicated historic architectural elements, while bringing the building up to current code requirements. New HVAC and emergency lighting systems were integrated with existing finishes. Four large Star of David medallions in the ceiling function as return air grilles. 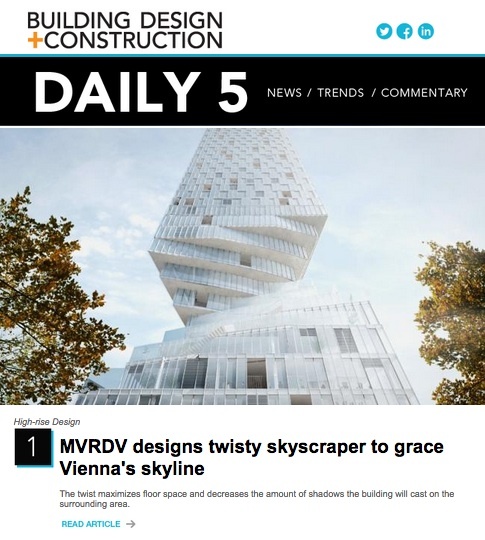 The Building Team, led by design firm FXFowle, extended the women’s balcony by five inches to accommodate aisle widths and exit paths. This enabled the synagogue’s seating rake to be raised almost five feet, which vastly improved sightlines from the upper pews. Craftspeople skilled in scagliola—a technique for producing stucco columns and other architectural elements that resemble marble and stone inlays—were brought in from Italy to restore the original interior features of the synagogue’s historic ark. More than 200 pieces of the ark itself were rebuilt and attached to a modern steel structure. Nearly half of the sanctuary’s 40 stained glass windows—a signature feature on the synagogue’s East 85th Street side—were destroyed by the fire and had to be recreated using historical and forensic analysis. Even the panes that survived the blaze required extensive repair. Italian craftsmen schooled in the scagliola technique restored the synagogue’s columns to resemble the original marble and stone inlays. Kehilath Jeshurun Synagogue | New York, N.Y.
Building Team: FXFowle Architects (submitting firm, architect); Congregation Kehilath Jeshurun, Debevoise & Plimpton (owner/developer); VVA Project Managers (owner’s rep); DeSimone Consulting Engineers (SE); AFK Engineers (MEP); Cerami & Associates (acoustics/AV); Milrose Consultants (code consultant); Amian Group (decorative finishes consultant); Erwin & Bielinski (exterior envelope consultant); Tillotson Design Associates (lighting consultant); Gail Solomon, Inc., Poulin Morris (graphic design and signage consultant); Femenella & Associates, The Gil Studio (stained glass restoration consultant); Fisher Dachs Associates (theater consultant); ZDG LLC (GC). Details: 8,000 sf. Construction time: 2013 to 2015. Construction cost: $21 million. Delivery method: Design-bid-build (CM). Rendering shows how design firm FXFowle positioned the 8,000-sf Ramaz Lower School addition above the restored sanctuary. The two institutions now share a central entry and security system. Rendering courtesy of FXFowle Architects.